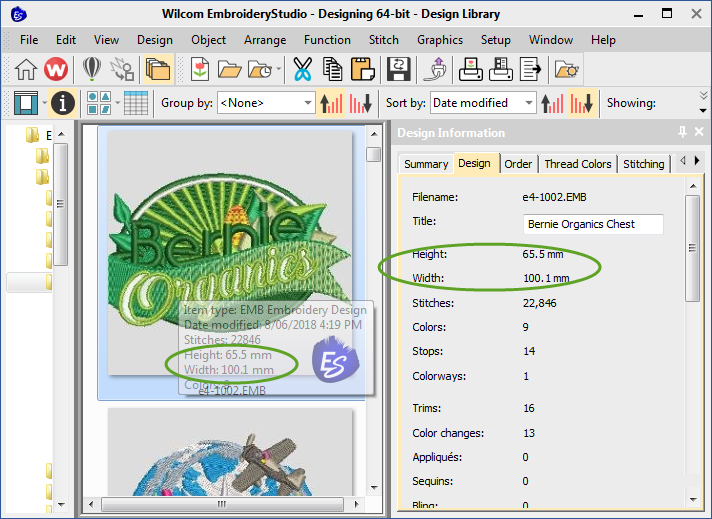 Tooltip is convenient and fast, however, it would be nice to have the unit user is familiar with. My suggestion: let user decide the unit or simply display the dimension in both units. 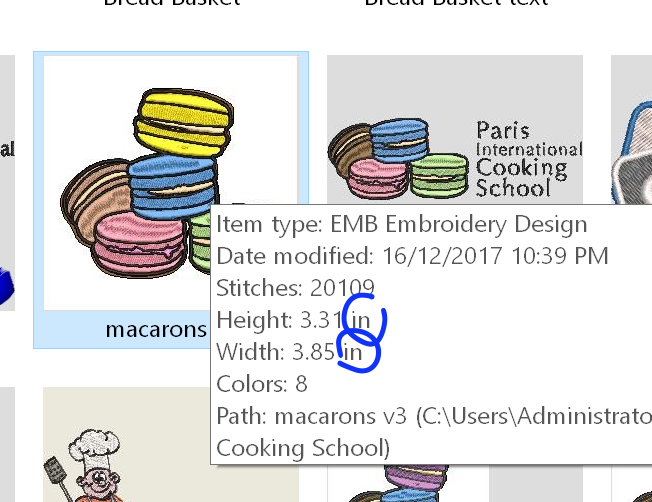 My one shows in metric unit in info of design file in Design Library. 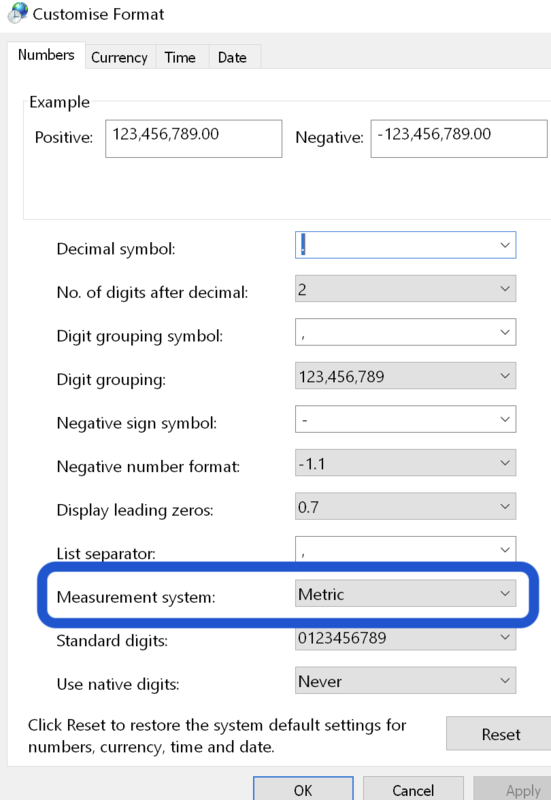 You may configure Windows Control Panel > Region > Format for English of none-US country that uses metric unit for the measurement. Then it will change to metric unit. Sam, thanks to getting back to me, somehow it does not work. And under Additional Settings, it's in metric. Any other settings I should look at to change the unit to metric? I cannot reproduce the problem you reported. Here is my screenshot in Design Library in latest build e4.2C 11 Jan 2019 (67-21253). Please also check the "Location" and "Administrative" tabs in the Region setting. It should be consistent with "English (Australia)" setting. 3 months 1 week ago	#1068 by Pascale R.
Hi! I am finding the same results as Antony. 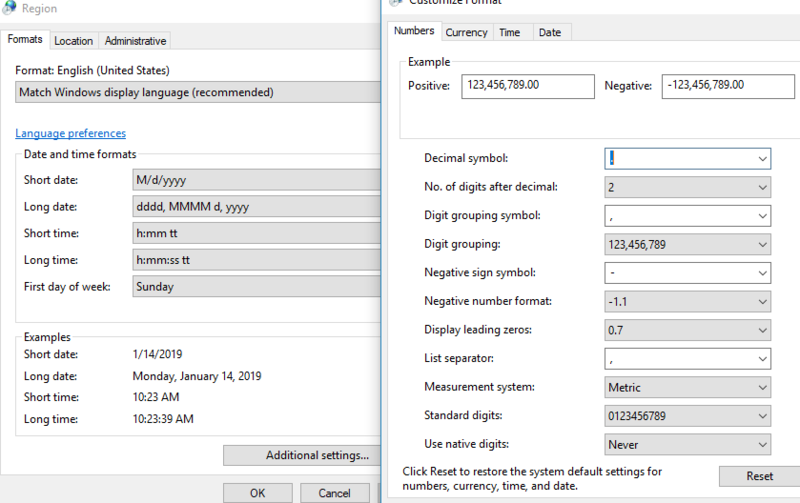 In Windows Explorer .... when I hover over a file it shows in metric. However, in Design Library, when I hove over the same file, it shows in inches. I verified it showed in inches this morning. When I went back to try to take screenshot, Design Library was extremely slow and crashed three times. I have not been able to access DL since to take a screenshot. Pascale R. wrote: In Windows Explorer .... when I hover over a file it shows in metric. However, in Design Library, when I hove over the same file, it shows in inches. So you had the reverse problem as I had. 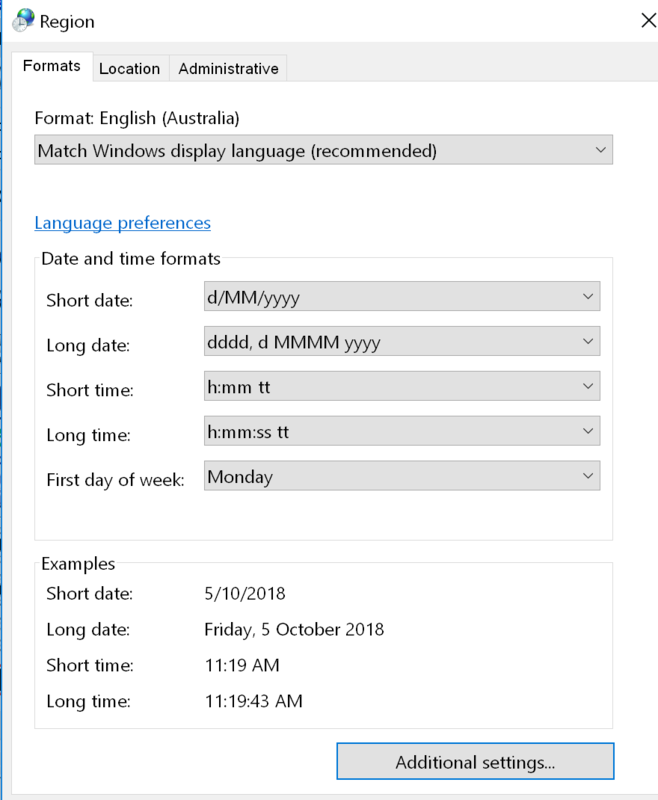 Instead of "Match Windows display language (recommended),"
I changed it to "English (Australia)." I second that! Although I live in the U.S. and use inches for everyday things,, I go metric in embroidery. Interestingly, if I view designs stored on the Mac volumes from Design Library, I can see metric measurements but not any stored on Windows even though I've configured Windows to allow it. 3 months 1 week ago	#1111 by Pascale R.
I'll check the settings again and see what else I can change to get all to read in metric. Although, at this point, Design Library, my computer & I don't get along so I avoid it (probably why I had not noticed unit was inches in the first place).